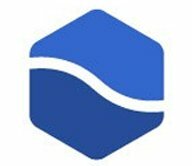 Which is better: green screen or blue screen? What is the best shade of green to use for green screen? Should I shoot my subjects over greenscreen or gather my BG plates first? What are the best camera settings to use when shooting greenscreen? Why should I shoot a clean plate? What about using a luminance card for matching black levels in post? What is the #1 thing that most people don't do when they're shooting greenscreen that will cost them the most time and money in post? The scenario for this series of articles is that you have less than perfect greenscreen footage. How could that happen? You're a novice filmmaker and you have never done any greenscreen work before. If you're getting the footage from someone else and not involved with the shooting, you often don't know what you're going to get. I worked with producers at my old post-house who would bring in the footage and we did the magic. While we could have shot it in our studio, producers often wanted to save money and do it themselves. Also, if you join a film production after the film is already in full swing, you may not be able to be involved. Your equipment is not “professional”. If your footage is crummy (i.e. : noisy, not properly lit, not properly shot, badly planned), no amount of post production will make it look good. “Garbage in, garbage out”, as they say. This series of articles will focus on problems that you'll run into with less than stellar footage. This is not so much a “how-to key” article and I may not go in order as far as work flow, but I will talk about some issues you may run into in the post production process. For this first article, I'm going to address some of the commonly asked questions I've had about working with greenscreen. These are mostly questions about production, not post production. The post production questions will be answered in future articles specific to topics such as spill, edge correction, holes in the matte, garbage mattes, light wrap, compositing tricks and more. 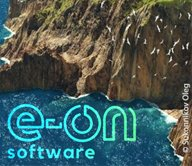 I want to give a special thanks to filmmaker Jason James, who gave me a bunch of footage to use in my book, Plug-in to After Effects. I'm re-utilizing some of the footage in this greenscreen series. Check out Jason's film Dirty Bomb. Jeremy Hanke and I co-authored a greenscreen book called Greenscreen Made Easy: Keying and Compositing Techniques for Indie Filmmakers. Although the title says “Indie Filmmakers” the fact is, it's the perfect book for anyone who is new to keying or hasn't done it in a while. We specifically wrote the book in a no-fluff manner, and very straight forward, because, hey, who has time for extraneous facts? Jeremy wrote the first half of the book, which dives into topics like lighting, making your own live monitoring, etc. I wrote the second half, about post production. I'll be throwing around a bunch of fancy words and so you know what I'm talking about, here's a rundown of a few that I mention in this article. 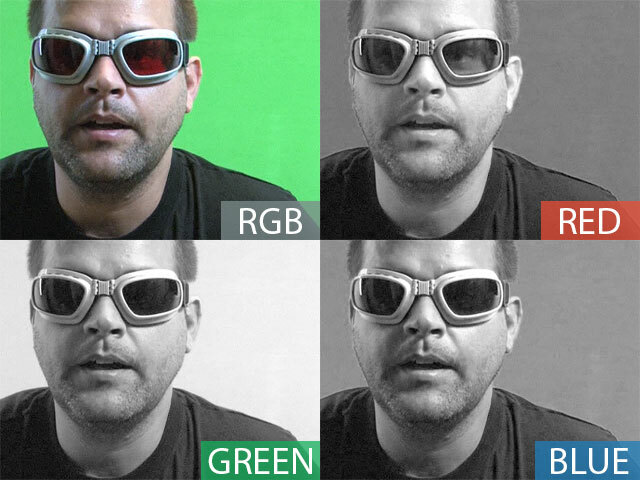 Chroma Keying – You might have noticed that term just above. Chroma means color. Keying refers to removing an object by “pulling” the color or range of color from the foreground layer to make an area transparent, revealing the layer behind it. Background (BG) Plate – the content that goes behind your keyed footage. This can consist of elements such as video, photographs, composites, 3D renders, and matte paintings. Clean Plate – The greenscreen with nothing in front of it. 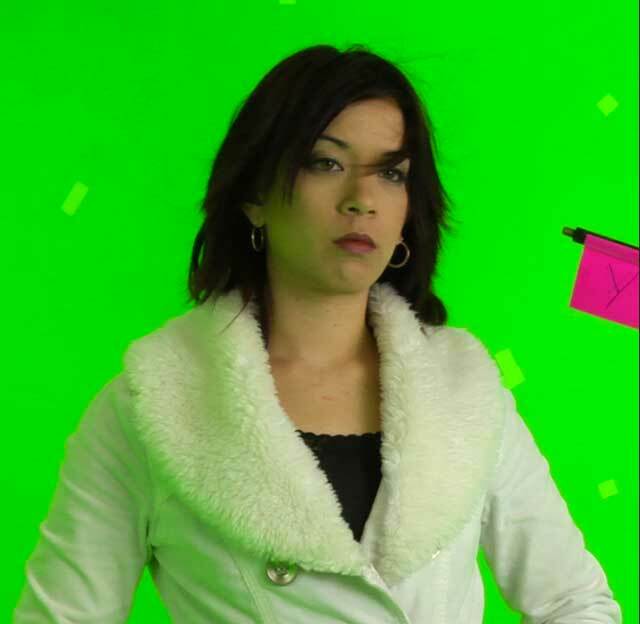 Rolling 5-10 seconds of your greenscreen without your actors in it, can save you hours in post. Normally this shot is a locked down shot or you are using a motion controlled camera. Spill – Reflected green on your subject. If you're shooting digital, most people will tell you to go for green. The question is a lot more complicated than this and has to do with color sampling. Digital green is brighter than digital blue. Lightcraft Technology has a nice article on their site that explains this. Notice how light the greenscreen background looks in the green channel. Green and blue are much less prominent in skin tones than red so its easier to pull a key with those hues without screwing up the skin tone. You can really use any color. It will depend on what you are shooting. 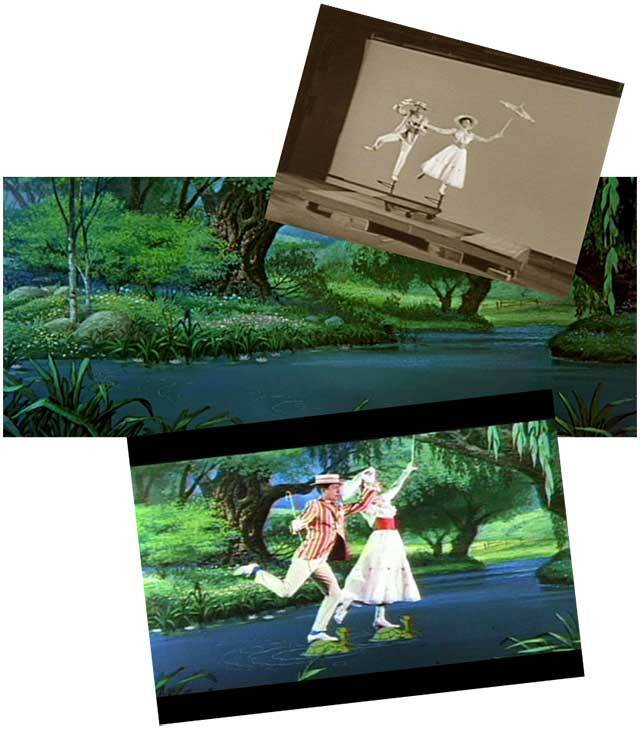 Did you know that the first film to use keying technology was Mary Poppins and they did not use blue or green? They used the Sodium Vapor Process in which an actor is filmed in front of a white screen that is lit with powerful sodium vapor lights which glow in a very narrow spectrum. A special camera with a prism separated the created a matte and a counter matte. This technique was very accurate and did not create problems with spill or skin tones but was very expensive. 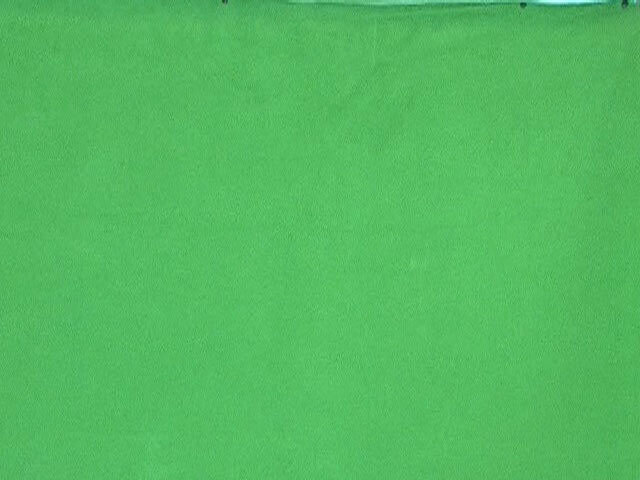 What is the best shade of green to use for green screen? What should I make my greenscreen out of? There are chroma paints, papers and curtains on the market that are exactly the shade of green you need, but they can be expensive. I highly recommend Greenscreen Made Easy: Keying and Compositing Techniques for Indie Filmmakers, and not just because my name is on the cover! Jeremy, my co-author, has a fantastic method of making a greenscreen on the cheap with linoleum, PVC pipe and paint. Plus, he did hundreds of color tests and found a shade of Olympia paint that is very close to the more expensive chroma paint. If you're doing it on the cheap, the key is to get the green as saturated as you can and a slightly brighter shade green. It's not just the color to consider, but the surface. If you're using fabric, make sure that it's not wrinkly or that you can't see through it. Make sure you don't have texture on your greenscreen either. I kid you not, I was sent some footage that was shot over plush green carpeting. The color of the carpet wasn't bad but the texture was impossible, with shadows from the tufts of carpet. I've also seen a greenscreen painted with glossy paint which made hot spots a big problem. Get your background elements together first. It's much easier to match lighting and camera angles in a studio with your actors than it is with background elements, especially if you're using footage that you have no control over like stock footage. 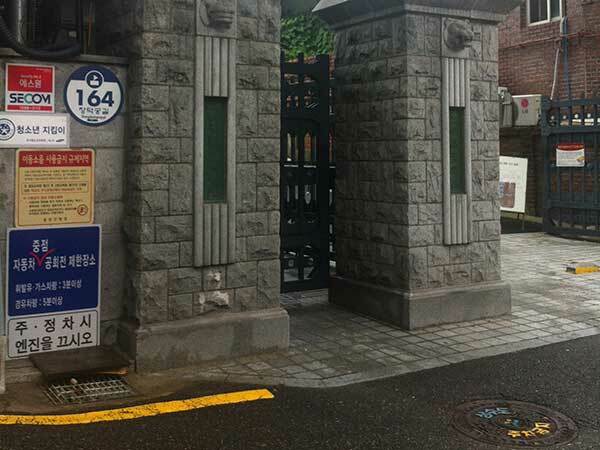 If you can't shoot on location in Korea with your actors, make sure you have your background plates first so that you can match position and light your actors properly in the studio. 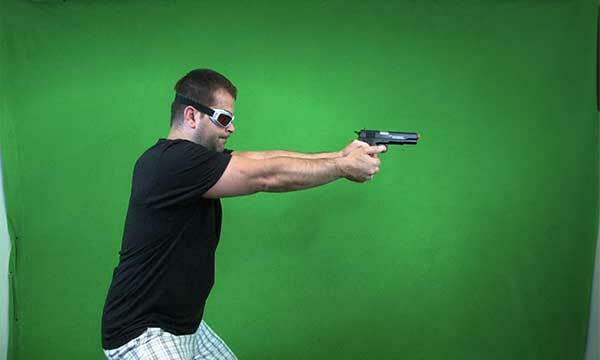 When you are shooting your greenscreen elements, use the background elements as reference. Either print out screen grabs, watch it on a laptop on set, or better yet, use a live keyer to test key your shots. Make sure your lighting angles and camera angles are right. It's much easier to shoot it right than to fix it in post! Use the highest quality settings that your camera will allow, and capture your footage with the highest quality settings as well. Set your camera to manual. You don't want your camera to auto focus or auto iris as the actor moves through the frame. 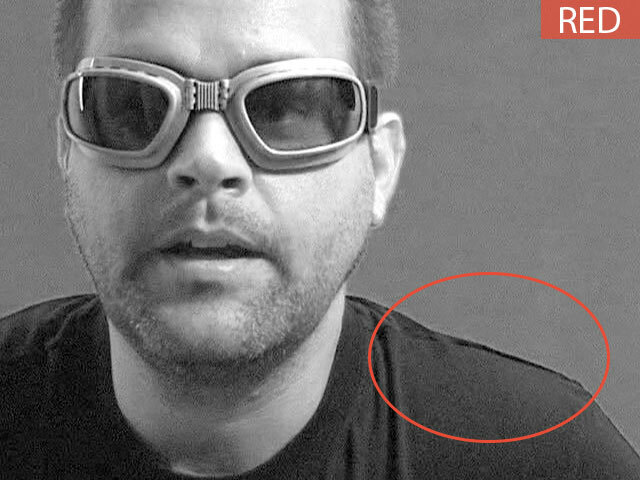 Use a shallow depth of field to keep your subject in focus while blurring your greenscreen. This will hide any wrinkles in fabric greenscreens or any flaws. We're not talking super shallow. In other words, with some lenses, you can have your actors hair out of focus and their nose in focus. You'll want to keep all of your foreground elements sharp and soften your background only. Note: If you're using tracking dots, do not use a shallow depth of field. Do Not Use In-Camera Sharpening. This will increase contrast around the edges of your subject causing a halo or jagged edges. Notice the funky artifacting around the edges of the subject, likely due to the compression and the in-camera sharpening algorithms. Motion blur is a big problem to key, so shoot with a high shutter speed. Motion blur is very easy to add in post with RE:Vision Effects ReelSmart Motion Blur, which is not expensive and looks realistic. Motion blur is problematic, so shoot with a fast shutter speed to minimize motion blur. Shoot progressive so you don't lose half of your resolution when you remove field interlacing. Yes, you can key interlaced fields, but if you're shooting vertically and plan to rotate or scale interlaced footage, you're inviting a mess of problems. You can try using a polarizing filter to manage glare and reflections, if you're shooting a car, glass or other reflective surfaces. This is not a magic bullet (that is something entirely different!) and will change your colors so use it with caution. Some keyers, like PHYX Keyer, Ultimatte (remember Ultimatte!? People loved Ultimatte but it's no longer updated for Adobe products) and DV Garage DV Matte, will utilize a clean plate to help you pull a cleaner key by comparing the clean plate with the footage with your actor. When you're shooting your clean plate, make sure you use the exact same settings as you do with your actor. Don't zoom or refocus the camera lens reposition the camera or lights. This is a clean plate. Don't get too excited. What about using a luminance card for matching black levels in post? What does this mean and why should I do this? Nothing yells “fake” like mismatched black levels between the background and foreground elements. A cheap and easy solution to matching them is to create your own card with a square each of black, 50% gray and white. 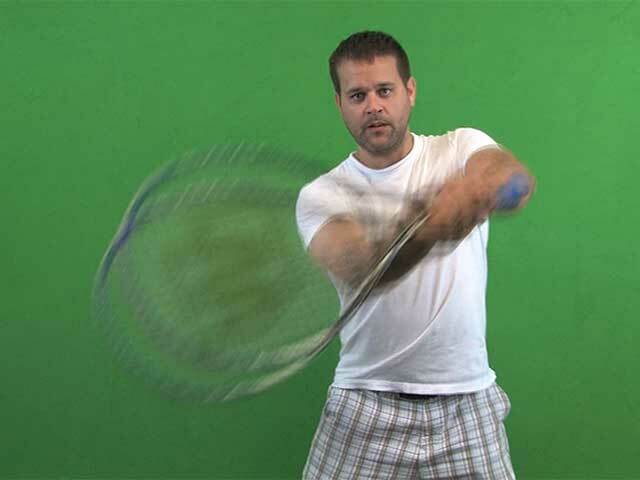 Shoot 5 seconds before you shoot your greenscreen footage and your background plates. 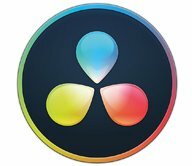 Just match them up by adjusting levels during your color correcting portion of the process (after keying). Oh, that one is easy! Prepare and test! Take some test shots and if you're on the VFX team, get involved in pre-production. Let me tell you a little story about a film I worked on a couple of years ago. It was a low budget production with a talented DP and a director who had not worked on visual effects before. I joined the crew right as principal shooting was beginning. There were no storyboards, just the directors descriptions. When we go to the big scene, I finally realized what was going to be needed so I suggested that they get a large greenscreen and hang it above the set. They didn't have any budget for this so the costume designer sewed together some bright green fabric. The color or the fabric was very close to what I needed, however, the lights behind it caused it to be very unevenly lit and it needed to be so high in the air that it was much too small. Because it was so high in the air and strung up with ropes, it wasn't as taut as it should be and it waved and billowed. I bought ALL of the fabric from that store and we were out of time and budget anyway. It's probably needless to say but the shot didn't turn out at all. I left the production before the end but I highly doubt they ended up using those shots. I saw the rough cut and they used 3D instead. Other shots in the film used a smaller greenscreen and shots were so dark that it was impossible to get a decent key. Oh how some storyboards and getting some VFX people involved before shooting could have saved a lot of headaches, money, time and rotoscoping! Be prepared. Make sure everything is storyboarded out before your test. Make sure your angles will work and your greenscreen is not too close or far from your actors. Have printouts or some reference of your background elements so that you can match angles and lighting. Make sure your actor is not standing too close to your greenscreen because it will cause shadows. Proper lighting of your actor and greenscreen is CRUCIAL. Don't over light or under light. It's easier to increase the exposure of darker footage than it is to fix footage that has areas blown out, but underlit footage can cause dark shadows along the edges of your actor. Shoot test shots with actors (or stand-ins) in costume. You'll want to make sure the costumes don't bring in problems with the color, reflectivity or surfaces that are difficult to key. Colors look different over green screen. Make sure you don't have bad spill on your actor. This is often tough to see on set and you won't know until you do some test keys. Maybe the bright green burns the retinas. I don't know. Believe it or not, grays and tans can look slightly green and will cause issues with color change when you're keying. Look closely at your greenscreen. 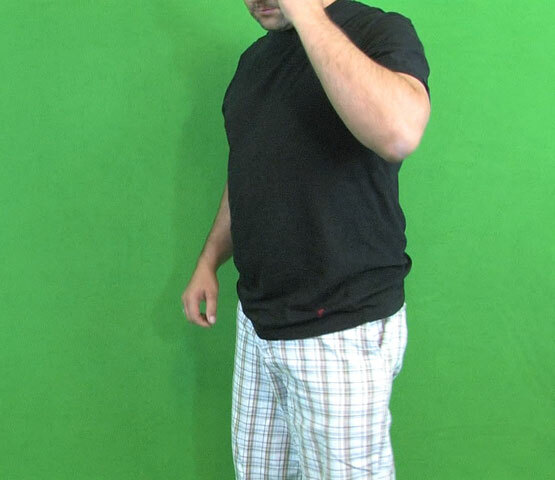 Make sure you can't see light through your greenscreen and that it's not too wrinkly or moving. Look for hot spots and shadows. Make sure it is evenly lit, especially in the areas where you will need to key around your actor. Slate your tests and take notes as you make changes. When you get back into your NLE to check your tests, cross reference what worked and what didn't. Yes, it will definitely take extra time up front, but this can potentially save days from your post-production budget and can save your entire film. Stay tuned for the next article in this series which begins the focus on post-production.